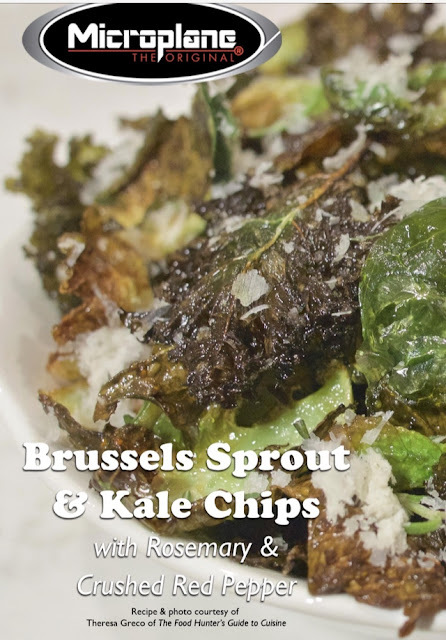 I recently partnered with Microplane to create the delicious recipe for Crispy Brussels Sprout & Kale Chips featuring two of their new tools: 1. Herb Stripper and 2. 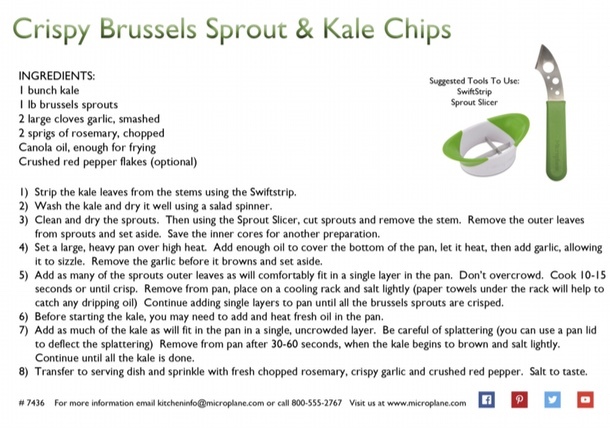 Brussels Sprout Slicer. The recipe is being used by Microplane this holiday season.